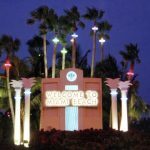 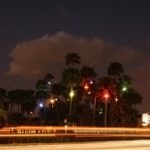 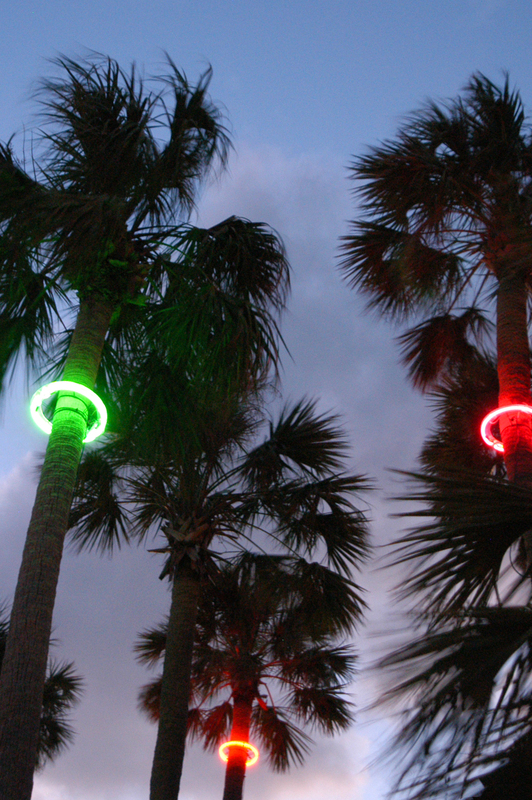 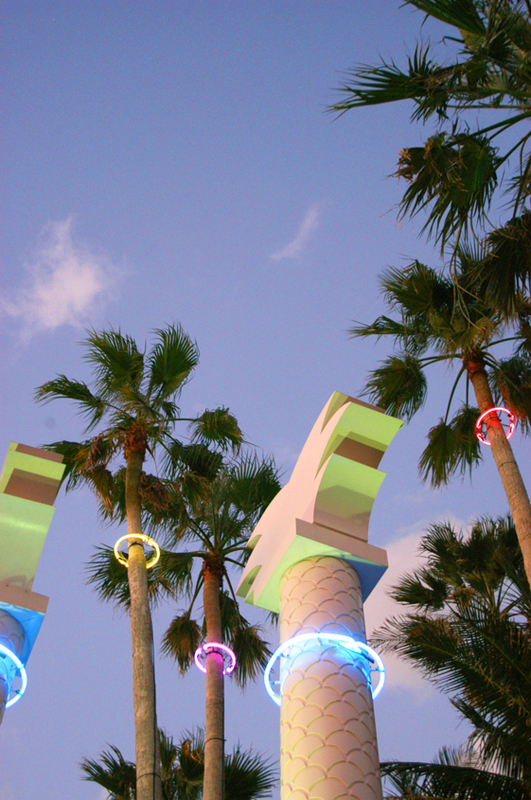 Originally installed for New Year’s lighting in 1997, the neon rings in the palm trees became an instant landmark for those traveling to Miami Beach. 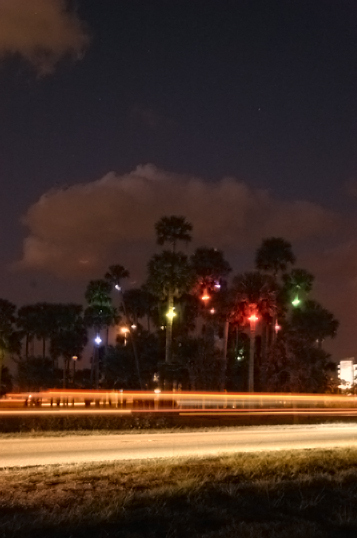 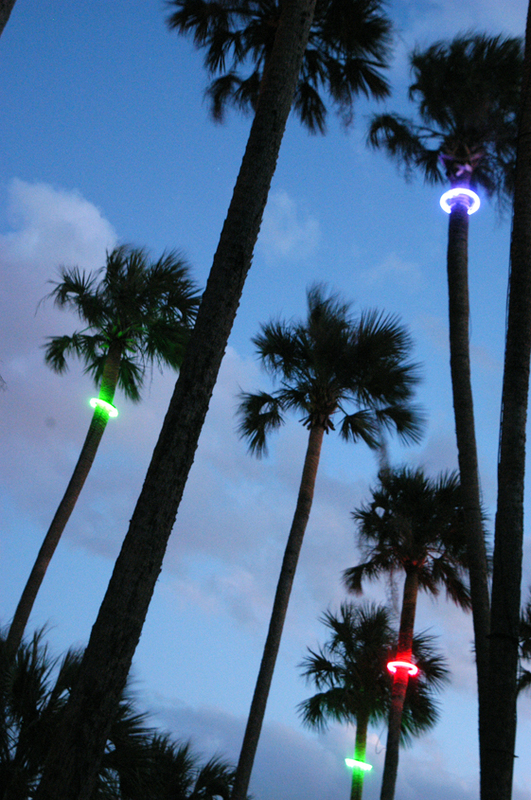 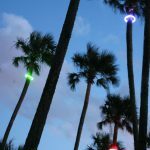 The multi colored work includes 52 palm trees, each fitted with a glowing ring of light, scattered over a 6-acre area. 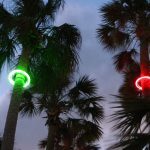 The combination of neon and palm trees, being synonymous with the vibrant energy of South Florida, has resulted in this now iconic installation. 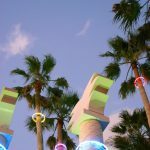 On January 1 of 2007, its 10th year anniversary, and after weathering several hurricanes, the neon was upgraded to a color changing LED technology, allowing for unlimited color changes, and animation. 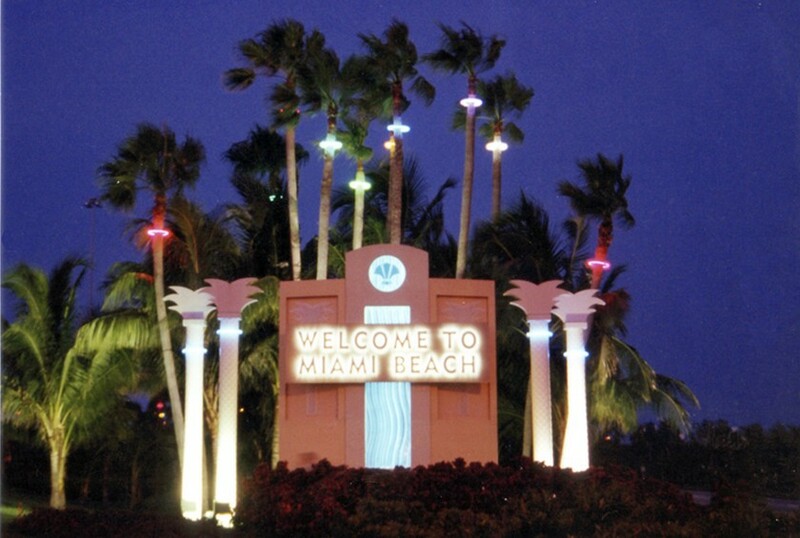 This work was commissioned by the City of Miami Beach Parks and Recreation Department and is maintained by City of Miami Beach Property Management.